Attention! The Voice: Season 12 Battle Rounds are here. Each coach will be pairing their chosen artists against each other to find out, who will move on to the Knockout Rounds. To help Adam Levine, Alicia Keys, Blake Shelton, and Gwen Stefani train their artists for this crucial round, the coaches brought in four extraordinary superstar mentors: John Legend (Team Adam), DJ Khaled (Team Alicia), Luke Bryan (Team Blake), and Celine Dion (Team Gwen) to whip their artists into shape. After each battle, the coaches will make their crucial decision to who advances in the competition. However, the coaches will have to be careful when they make their decision because the losing artist might be stolen. How were the artists paired up? Who won the battles? Which coach used their steals? Read on to find out! As Adam, Alicia, and Gwen tried to get under Blake’s skin; Blake revealed his first pairing: Brennley Brown and Lauren Duski. He chose them because they are his country-pop girls. The girls’ heart rates rose when longtime Blake Shelton pal, Luke Bryan, was revealed to be their adviser. He chose Little Big Town’s Taylor Swift-penned song: “Better Man.” Lauren had a Trisha Yearwood-element to her voice, while despite her age, Brennley, had an incredible angst to his voice. Luke compared both girls to Taylor Swift and wished them well. In all honesty, I preferred Lauren’s voice because she connected extremely well with Ms. Swift’s lyrics. Alicia called the performance, “Beautiful,” while Gwen preferred Brennley. Adam added that Lauren was graceful in the performance and could not decide between the two of them. Blake decided to awarded Lauren a spot on Team Blake! Meanwhile, it turned into a steal free-for-all as Gwen and Adam fought for Brennley. Gwen honestly revealed that he wanted to work with her, Adam sang “Happy Birthday” to her and had a lot of ideas to share with her. Brennley decided to enlist with Team Gwen. While Brennley hugged her new coach, Gwen’s team was shocked to learn that Celine Dion was going to be their adviser! Gwen’s first pairing was Kenny P and JChosen, and they tackled Stevie Wonder’s “I Was Made to Love Her.” Gwen and Celine wanted JChosen to let loose, while they loved Kenny P’s voice. Celine helped rekindle JChosen’s fighting spirit and wanted him to unleash his inner “Marvin Gaye.” Thanks to Celine’s advice, JChosen was able to move on to the Knockout Rounds. Alicia invited DJ Khaled to mentor her team. She paired 16-year-old Anatalia Villaranda and 34-year-old Missy Robertson together, because of her powerful voices. The “No One” singer-songwriter gave them Janelle Monae’s “Tightrope.” DJ Khaled was impressed with both artists and loved their execution. The women’s duet was a sparkly sweet battle. Just at her Blind Audition, Anatalia commanded the stage with her outstanding vocals. However, Missy brought out some sweet harmonies and fabulous sass. Gwen stated that she was impressed with both women, while Adam added that it was “a two-hour concert wrapped in two minutes.” While Alicia was impressed with both ladies, she stated that Anatalia won the battle. Adam recruited his buddy, 10-time Grammy-winning, and Oscar-winning singer John Legend, to be his Battle Rounds, adviser. He chose Gaby Borromeo and Mark Isaiah to be his first pairing. It turned out that John worked with Gaby in the past. Adam chose Zayn’s “Pillowtalk” for the duo to sing and John was impressed with Gaby’s progress as a vocalist. I think that Mark had a harder time to impress me because he has plenty competition in the Top 40 arena such as Justin Bieber, Austin Mahone, and Shawn Mendes. Gaby blew me away from the moment that she stepped into the Battle Rounds ring. As Adam howled with joy, Blake compared Gaby to a young Gwen, while he pointed out that Mark has a grasp on Zayn’s material. Alicia added that it all depended on Adam’s taste, Gwen thought that Mark was very special and was impressed with Gaby’s whole package. Adam decided that Mark would move on to the Battle Rounds. Alicia’s second pair of the evening was Felicia Temple versus Quizz Swanigan. These two artists were both standouts in the Blind Auditions and I was little shocked that Alicia paired these two artists together. Quizz fanned out when he saw DJ Khaled with Alicia. 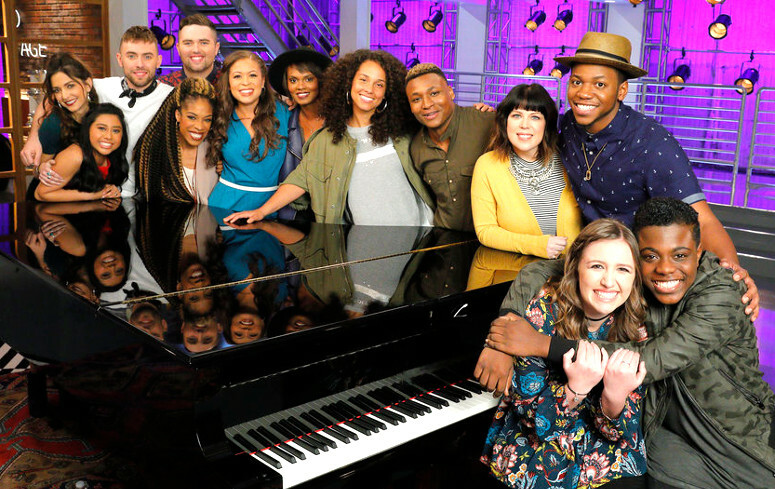 The duo tackled David Guetta & Sia’s “Titanium.” This was not the first time that this song has been sung on the show—Team CeeLo alums Avery Wilson and Chevonne sang it during Season Three and Season Four runner-up Michelle Chamuel earned her spot on Team Usher’s Live Show team. I loved watched the chemistry that Quizz and Felicia had during the rehearsals. During their battle (which was one of the better ones of the evening), I thought that Quizz reminded me of a young Joshua Ledet, while Felicia showcased why she was “Titanium” with her dynamic vocals. While Gwen leaned towards Quizz, Adam and Blake thought that Felicia won the battle. Alicia chose to advance Quizz to the Knockout Round, while Blake stole Felicia from Alicia! The final battle of the evening belonged to Team Blake. The five-time winning coach chose Ashley Levin, and Kansas Citian Casi Joy was his second pair of the night. Luke revealed that Blake bragged about both of their auditions to him. The ladies tackled Reba’s “How Blue” for their battle. Blake advised them to give a performance that would impress the other coaches to steal them. As the women left the rehearsal room, Luke Bryan revealed that he could pick between the two of them because they could hunt him down in Nashville. I loved the a cappella opening because it highlighted both ladies’ fabulous voices. While Ashley surprised me, I was so proud of my fellow Kansas Citan’s performance; she reminded me of watching a young Jennifer Nettles. Blake chose Casi Joy to advance as a member of Team Blake, while Ashley became the latest artist to make a choice between all three remaining coaches! Ashley decided to pick Alicia as her new coach! 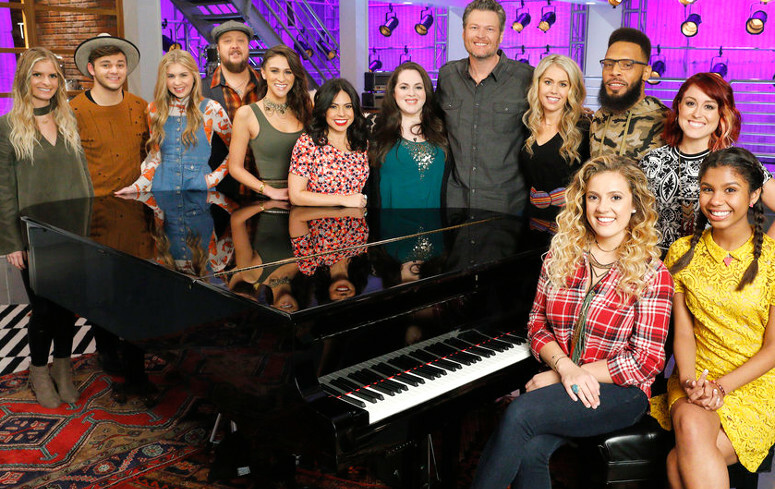 Tomorrow night, The Voice: Season 11 Battle Rounds continue!